Happy Talk About the Economy–What are the Facts? Is that daylight we’re seeing at the end of the recession tunnel, or is it the headlight of an oncoming train? The “ticker guy” shows some charts that seem to answer that question. See it here. 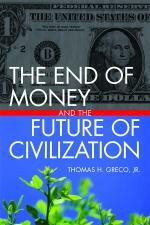 This entry was posted in Finance and Economics, The Political Money System and tagged debt, Denninger, recession. Bookmark the permalink. The entire economy, including state and local governments, seems to be functioning solely because of federal bailout dollars. How long can it continue? Especially when it is predicated on the economy “picking back up” which even numerous establishment “experts” are saying is not likely. I think we are going to hit a whole new phase of downturn coming up.